Universal acclaim - based on 11 Critics What's this? Summary: After three self-released albums, the country singer releases her first major label debut produced by Shane McAnally and Luke Laird. Each track evokes an emotion, a giggle, a tear or a memory, but always a hunger for what’s next. On her confident, melodic major-label debut, Musgraves' vocals are pleasingly agile, but what Same Trailer Different Park continually showcases is her writing prowess. The finest lyricist to rise up out of conscious country since Miranda Lambert, if not Bobby Pinson himself. Musgraves has a sense of humor, too, and all of these traits add up to make Same Trailer Different Park more than a collection of songs just aiming for the country charts. She sings with an affectless detachment reminiscent of, say, Aimee Mann, and uses it to cut sharply through the lies people tell themselves. Musgrave just paints a picture of their shared solitude, and she lets us see our absurd selves in the lives of others. One of the best debut county albums ever, Kacey Musgraves shows a different side of Country music with her edgy style. As I am not a big fan of country music, my review is to be ignored if you are a country music fan. I listen to most of the things that appearAs I am not a big fan of country music, my review is to be ignored if you are a country music fan. I listen to most of the things that appear on metacritic, and this one had an exceptionally high score, so I listened to it. It took me to the same mistery world where almost all modern country albums take me: a place that I can't imagine to exist, and if it does, I hope I never get there. There were some catchy ones indeed on the list of tracks, but overall it was quite boring, and I don't think that it was so exceptional compared to other albums by young femaly country musicians. I am wondering what makes people give it such a high score, and I played with the thought of listening to it again, but I can't force myself to do that in the foreseeable future. 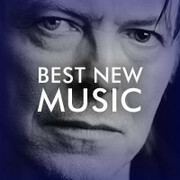 Check out our list of the past month's best new album releases (including LPs from David Bowie, Low, Kacey Musgraves, and more), and listen to each one.